Welcome to MWSA′s home on the web! Welcome to the Mount Washington Soaring Association website. Here you will find information about flying wave in the White Mountains of New Hampshire. 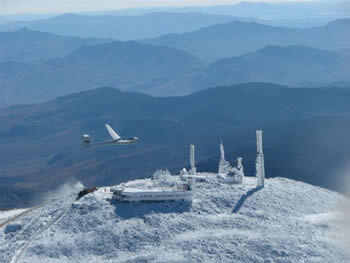 The Mount Washington Soaring Association is unique amongst soaring clubs in that it has only members, no dues, and no officers. All that is required for membership is an interest in flying in and around the Mt Washington valley, and a willingness to contribute to the annual wave camp that brings us all together each October.